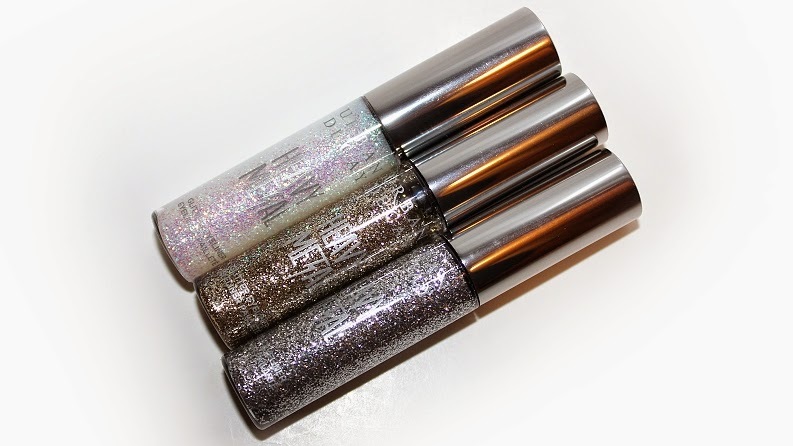 Urban Decay Heavy Metal Glitter Eyeliner (0.25 oz) individually retail for $19 USD ($23 CAD) and is available in 7 different shades. 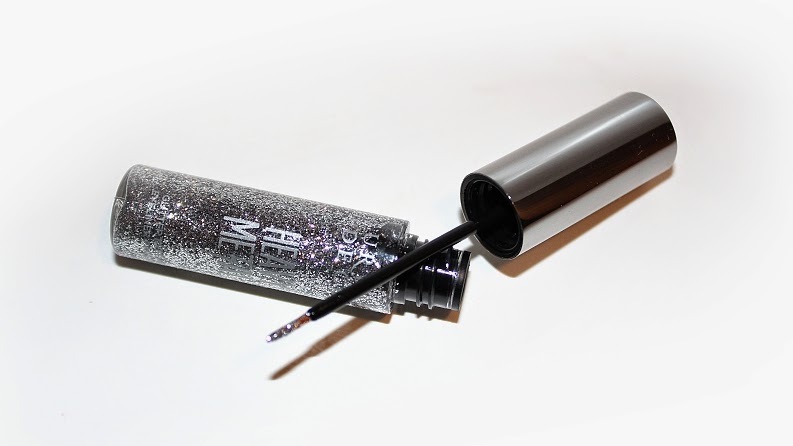 They are said to be "a buildable, water-based liner that contains superfine glitter in a clear base." 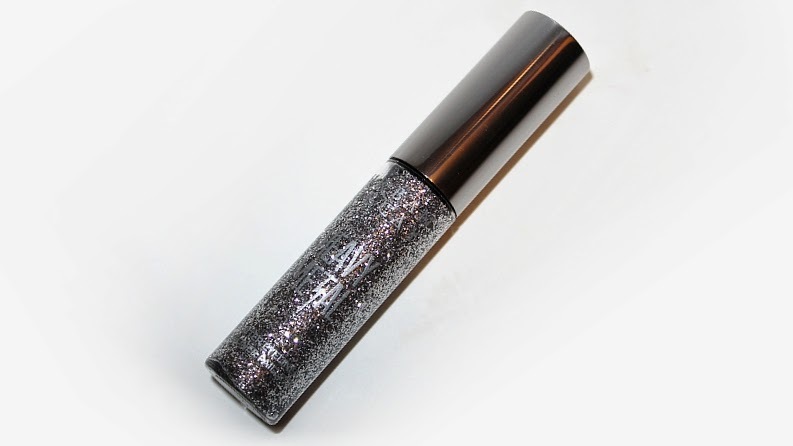 * Distortion is described as an iridescent glitter. * Glamrock is described as a silver glitter. * Midnight Cowboy is described as a beige glitter. 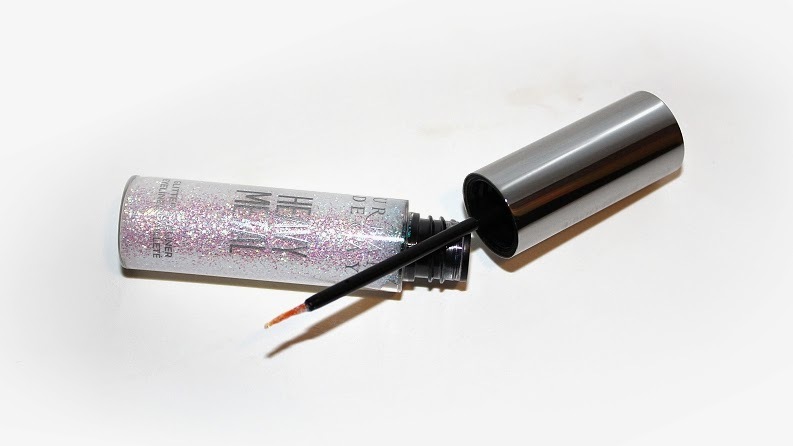 "All the glitz of glam rock—without the spandex or bad hair—Urban Decay’s Heavy Metal Glitter liner contains superfine glitter in a clear base that dries down quickly and really stays put (for long wear without any fallout). Wear it alone, apply it over Urban Decay’s eye shadow, or layer two shades together for a more intense effect. 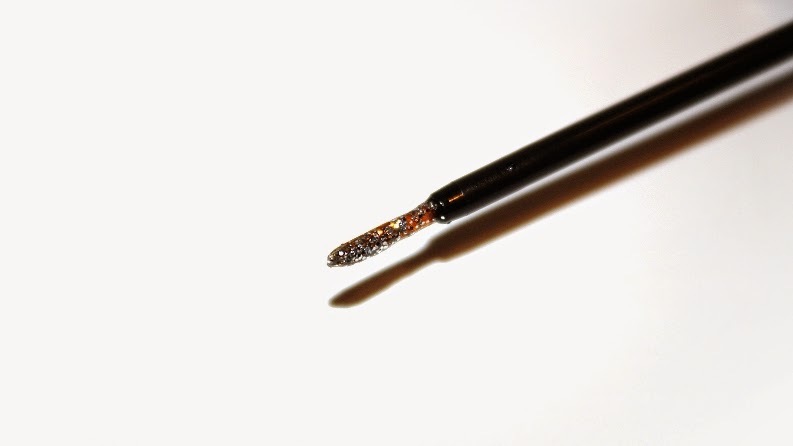 The precise, thin-tipped brush makes it easy to create fine, glittery lines. Want more sparkle? Use the side of the brush to sweep sparkle all over your lids. Or, for an even bolder, jewel-encrusted look, remove the wiper (the little piece that controls how much product comes out of the bottle) and tap on Heavy Metal with your fingers. The glitter is suspended in a gel, so it won’t separate in the bottle. Peach and cucumber extract condition the skin, while carrot extract smooths and softens." 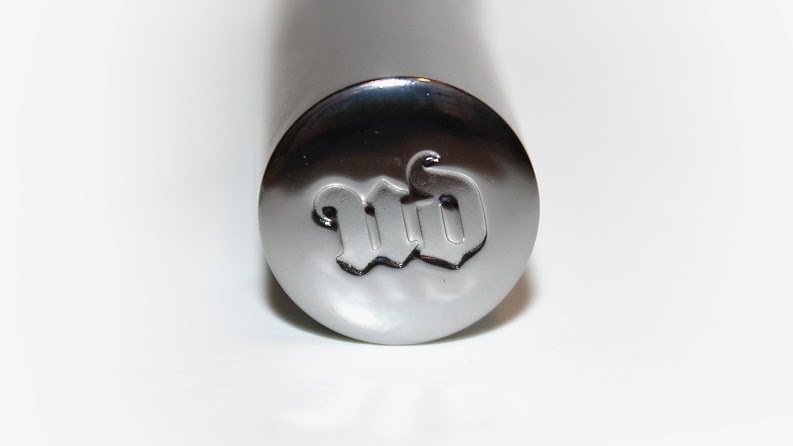 The packaging is a clear tube with a screw-on gunmetal cap. The applicator is a thin, flexible, narrow brush that allows total control and precision. The formula is long-wearing, applies smoothly and evenly. Of course, the base of these liners is a thin, transparent gel that allows the glitter to adhere. They do dry rather quickly depending on how thick of a coat you apply. 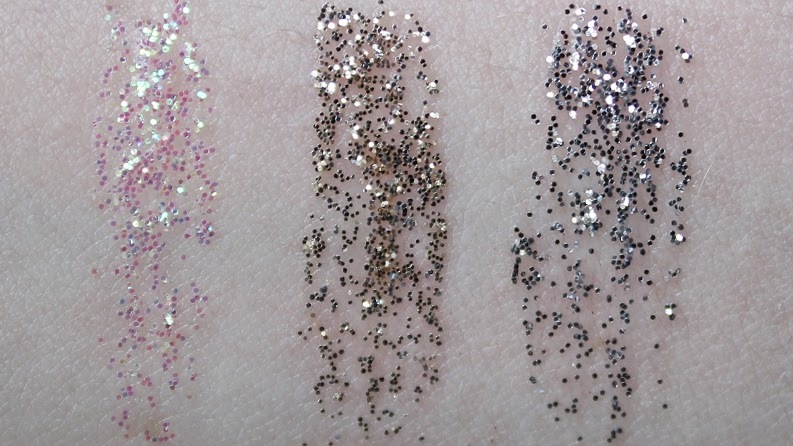 Once dry the glitter stays put and doesn't irritate the eyes – unless of course you rub at your eyes. The longest I've worn these liners was +18 hours and in that time I didn't notice any flaking, fallout, stray glitter or obvious signs of wear. The glitter is fairly easy to remove; I found using a makeup wipe in a stroking motion removed these best, without leaving any stray glitter specs behind. 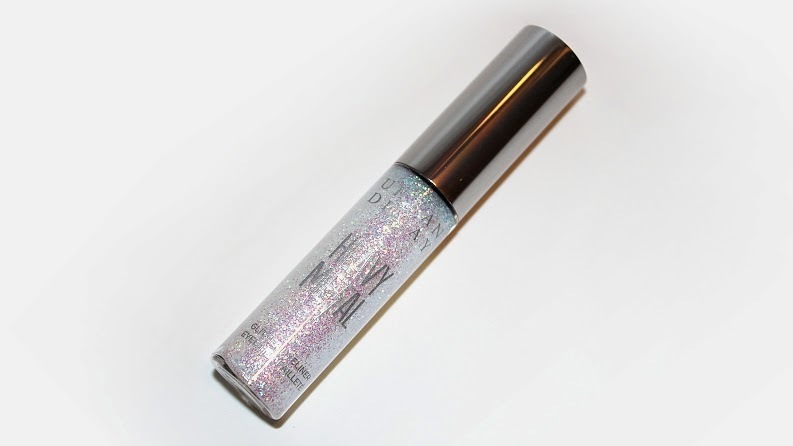 The brand themselves suggest taking out the stopper/wiper for more opaque glitter coverage. This allows the brush and wand to be fully loaded with glitter, rather than just the tip of the brush. 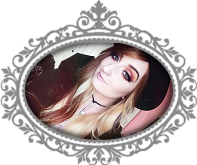 They also recommend different ways of applying the glitter, for example, if you want to cover your entire lid, run the plastic sides of the applicator over the large area. Personally, I don't mind layering the glitter so I have left my stopper/wiper in place. Overall, these are the best glitter liners I've found. They're long-wearing, opaque and buildable. 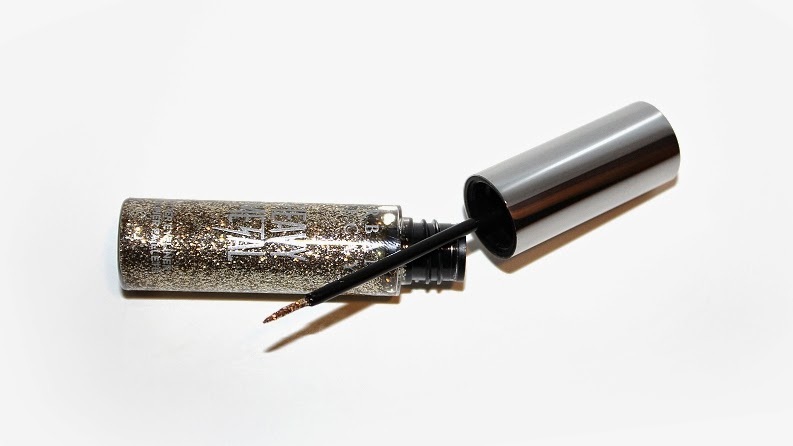 Plus, they're the easiest solution to glitter liner, it beats trying to apply a thin line of loose glitter! Even if you're not a fan of glitter, it's nice to have a glitter liner laying around for special occasions. It's so easy to bump up an entire look by adding a hint of glitter to your lashline, inner tear duct or laying over top of liner!